The main street in St Kilda is Fitzroy Street. It’s lined with outdoor pubs, cafes and restaurants serving a wide variety of cuisines showcasing Melbourne’s multicultural heritage. The café society of Acland Street first bloomed with the influx of cosmopolitan European migrants in the 1950s. 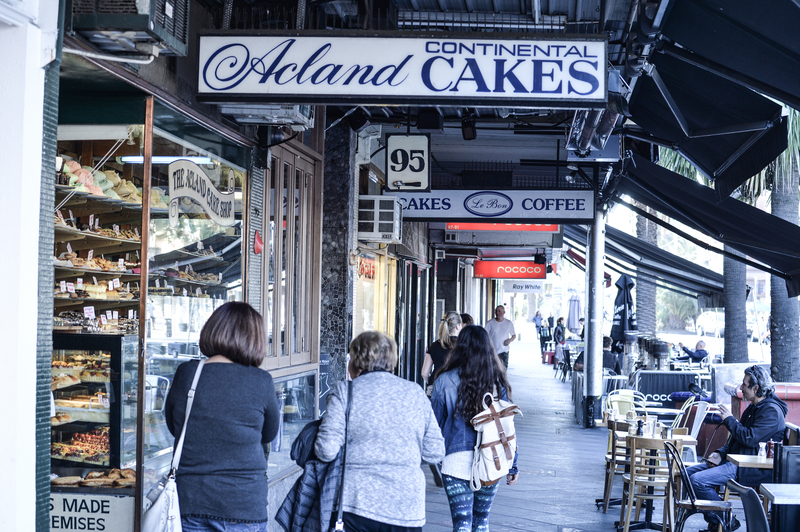 That heritage can still be seen in the European-style cake shops, cafes and designer shops that line the street. The Boon Wurrung people of the Kulin Nation were the traditional owners of the land where St Kilda now sits and called the area Euroe Yroke. There is evidence of their ancient lifestyle throughout St Kilda. Visit where early tribal gatherings were held at the ‘Corroboree Tree’ a very old red gum tree at St Kilda Junction. St Kilda was named by Superintendent La Trobe after a watching a boat named ‘Lady of St Kilda’ anchored off the beach in 1841. During the 1900s, St Kilda became a favoured suburb of Melbourne’s elite, and many palatial mansions were constructed along its hills and waterfront. The foreshore became Melbourne’s amusement zone with the opening of Luna Park in 1912, at the time the newest and greatest amusement park in the world. Luna Park still operates today where you can enjoy rollercoaster rides and arcade games. Following WWII, St Kilda became Melbourne’s ‘red light’ district. During the 1960s, it became known for its bohemian style and attracted young artists and musicians taking advantage of cheap housing. The suburb still retains its alternative style today.